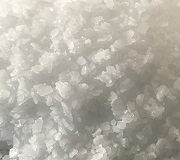 Environmental Issues Have Substantial Impact on Caprolactam Market | Merchant Research & Consulting, Ltd.
Caprolactam is involved in complex production chains composed of multiple feedstocks, derivatives (intermediates) and end-products. In a simplified form of the traditional Beckmann process used in caprolactam manufacturing, key intermediate cyclohexanone is converted to cyclohexanone oxime, which later is rearranged to caprolactam with the help of sulfuric acid and oleum catalysts. Numerous companies (BASF, DSM, Toray, DuPont, EniChem, Sumitomo, etc. ), working separately and/or collaboratively, developed proprietary caprolactam production technologies subject to cost effectiveness, availability of cheaper energy or necessity to reduce the output of unnecessary intermediates. The dynamic complexity of caprolactam production chains makes them vulnerable to different adverse factors, disruptions, turnarounds and force majeure circumstances. In October-November 2018, petrochemical manufacturers, including caprolactam producers, were affected by logistical issues caused by low Rhine water levels. This disrupted chemical shipments along the busy and important river, which is a major thoroughfare used for delivery of petrochemicals. Large caprolactam manufacturers, like ChemicaInvest (270,000 mt/y caprolactam facility in Geleen, Netherlands) or BASF (310,000 mt/y caprolactam facility in Antwerp, Belgium), have facilities associated with the Rhine–Meuse–Scheldt delta, which might be potentially affected by such disruptions. Manufacturers may not reveal which particular products are affected, but some sources indicated that caprolactam production was influenced due to low levels of Rhine in Germany and other countries through which it flows. It is important to mention that Rhine-based transportation of chemicals is not merely a logistical issue as it may pose great environmental risks for the region with extensive chemical production. In general, environmental issues play an important role in the production of caprolactam and other chemicals. For instance, Spolana’s 80,000 mty caprolactam facility in Neratovice (the Czech Republic), on the river Elbe, 15 miles north of Prague, has been ranked as one of the most polluted sites in Europe. The place has been long known for its emissions of hazardous substances and has been even dubbed “a mini-Chernobyl”. Contamination events here may occur due to river Elbe floods, which again shows how environmental, force majeure, natural and technological issues can intermingle to produce negative outcomes. In November 2018, Spolana’s plant had to stop caprolactam production due to technical issues. Though Czech Republic accounts for just about 1% of global caprolactam output, which is incomparable to such majors as China, the USA or Belgium, environmental issues are of a truly global scope, and even a small producer may render a significant impact on the environment and an image of caprolactam production, if the latter is hazardous to the environment. More information on the global caprolactam market can be found in the in-demand research study “Caprolactam (CPL): 2018 World Market Outlook and Forecast up to 2027”.